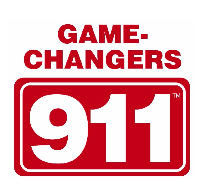 Do you want to “change the game” in your business? There are BIG rewards for people who challenge the status quo. Innovators and disruptors are never content with slow, incremental growth. They thrive on shaking things up, re-arranging the game board, and re-writing (or ignoring) the rules. We’ll use a sampling of case studies, tools, techniques, and strategic stories to help you identify and capitalize on game-changing opportunities within your business, industry, and your life.